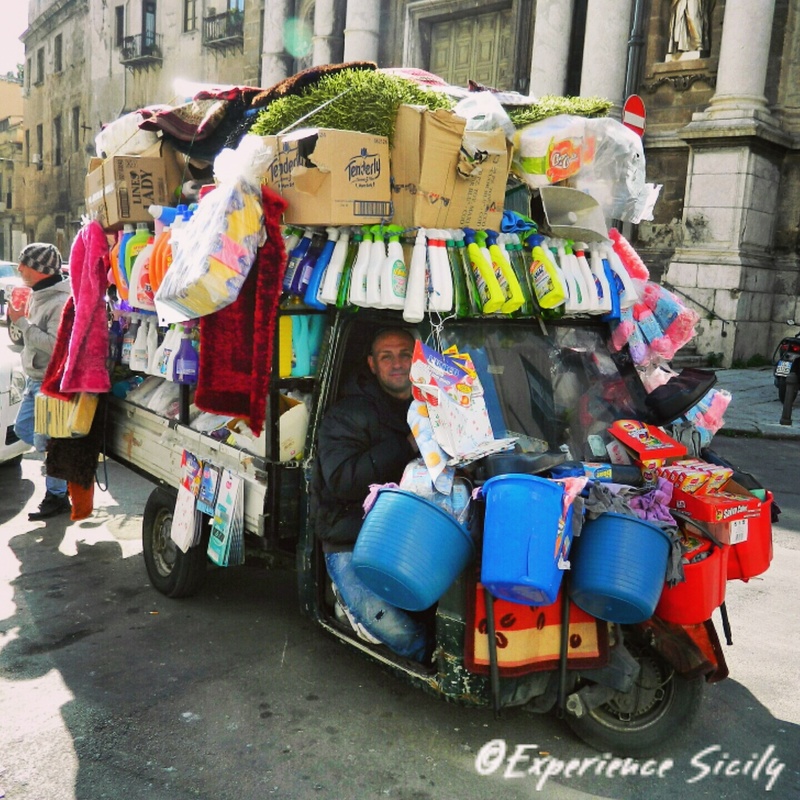 When I was in Palermo in early February, I encountered this vendor in the Kalsa district selling cleaning products and other such items for the home. Just like the fish or fruit vendor, he announces his arrival in the neighborhood with his public address system. Although I don’t remember his call, I will venture to guess it was in Sicilian versus Italian in order to attract the locals. I really love APE cars in Sicily! Wow! I could use a guy like that cruising through my neighborhood some days! What a great truck with everything you could ever need to clean your house – or whatever! Yup! Gives new meaning to delivery. Who needs UPS!